This post may contain affiliate links. Thank you for supporting Seersucker Sass blog. TGIF! This has been one of those weeks where the days passed slowly, but the week flew by. My schedule hasn’t allowed me to actually watch my brother run yet this season, so I’ve spent all week looking forward to cheering him on at a big meet tomorrow. 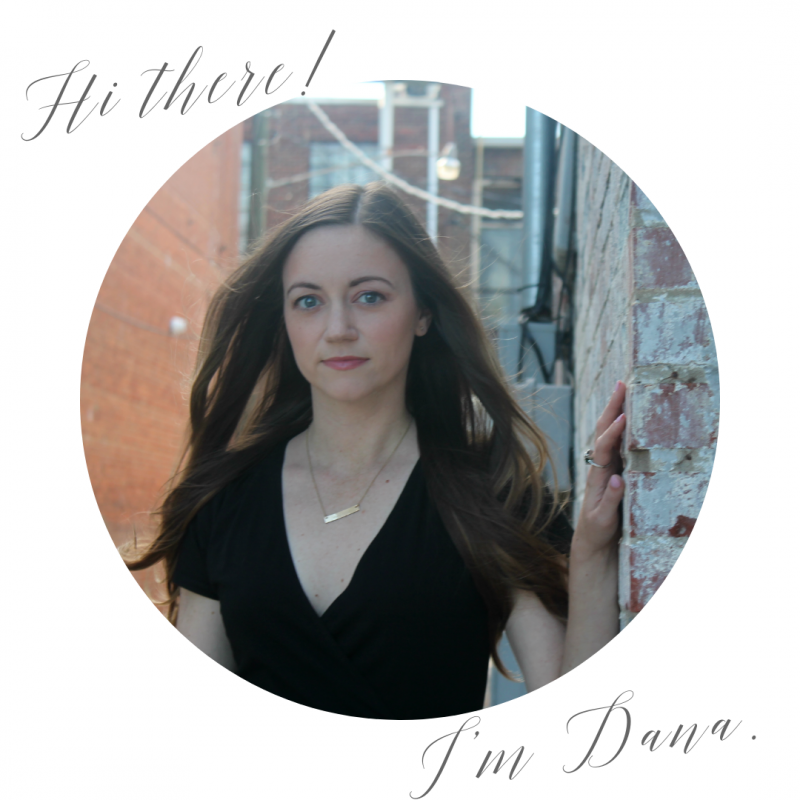 I’ve also been looking forward to sharing this post with you! I’ve been working on it for quite a while but never had a chance to actually finish it. 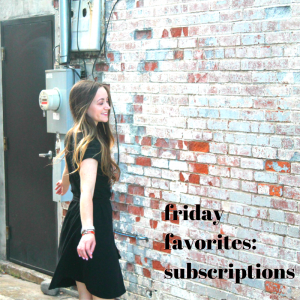 This week’s Friday Favorites focuses on three different subscriptions that I love – a free daily email, a try & buy subscription service, and the best monthly beauty box I’ve ever tried. Let’s break it down! The Daily Carnage – This is a free daily newsletter for marketing professionals. My favorite thing about it is that it keeps me up to date with current trends, new apps and programs, and what is on the cutting edge. I honestly take more away from this daily than I do from webinars, as the info is bite-sized and extremely concise. And I’m a big fan of the vintage ad at the end of every newsletter. Material World – Material World is a subscription service that sends you designer clothing that is either brand new or gently used at a steep discount. You receive an email with options, you select five that you’d like to try on, and then you have four days to try it on and send back anything that you don’t want to keep. You can also send back items you would like for them to sell! I signed up for Material World when they were doing a $1 sign-up special, instead of the typical $29 a month. My advice to anyone wanting to try out this service is to be very specific and very thoughtful when filling out the survey. My first month was kind of a bust, but I’m really happy I stuck it out. Last month I purchased an Elizabeth and James dress and a Vince dress for $56! I have been pleasantly surprised with how great their referral system is and how affordable it can be to purchase the clothing – you receive $25 for referrals + a percentage of their purchases, the $29 you pay monthly also goes toward your total, you get “cash back” credit from your purchases, and you receive a discount if you purchase the entire box. I’m really excited about how this box is expanding my wardrobe, and I’m trying on pieces I never would have considered before. Allure Beauty Box – This $15 beauty subscription box is so good that I canceled my beloved PLAY! by Sephora subscription. Each month, I receive $50-90 worth of product, either full size or deluxe sized samples. One of the things I didn’t love about the Sephora box is that I got a mini Sephora lip color every other month, often times one I had already received, and some of the samples were kind of a stretch. Allure Beauty Box has introduced me to some of my newest skincare and beauty obsessions, including Acure Blue Tansy Oil, Sunday Reily C.E.O. Glow, Belif Aquabomb, and Mally shadow sticks. And the best part is that they include coupon codes for the products in the box! I want to hear from you – What subscriptions (whether it be email, a podcast, clothing/beauty/etc.) are you loving lately?! I’ve reallllly been trying to decide whether or not I wanted to stick with the Sephora box or move to the Allure box…I may just have to try it out and see if it lives up to the hype everyone is giving it! Your first month is only $10, maybe do both for a month and see what works best for you? I did both for one month and immediately cancelled my PLAY. I’m trying to be more selective about subscription boxes I subscribe to but I really have been curious about the Allure box. Good to know it’s really good! I completely understand! I received a teaser for next month’s box in this month’s box, and apparently its going to have products from St. Tropez, Laniege, Lue, and more.